My Country Roads: Wild and Wonderful : Happy Mother's Day Ma! 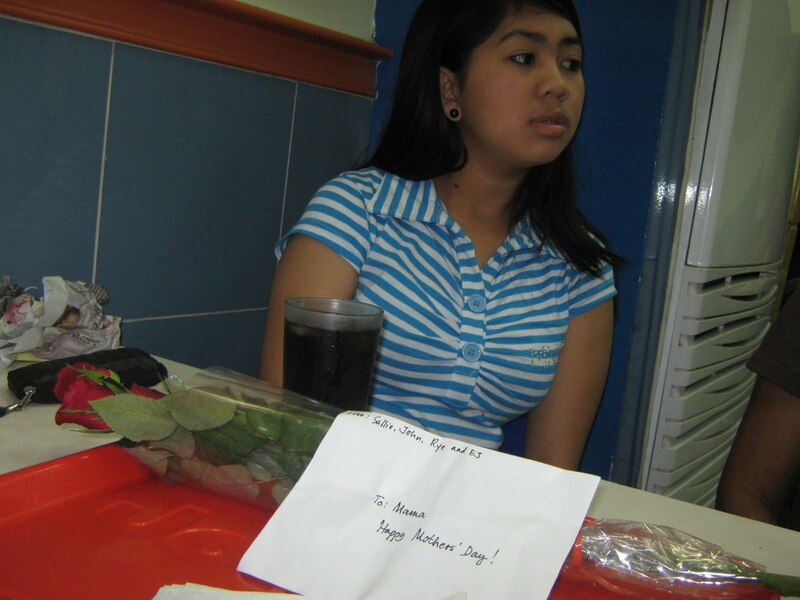 I asked one of my closest friends in the Philippines to pull a little surprise for Mama. 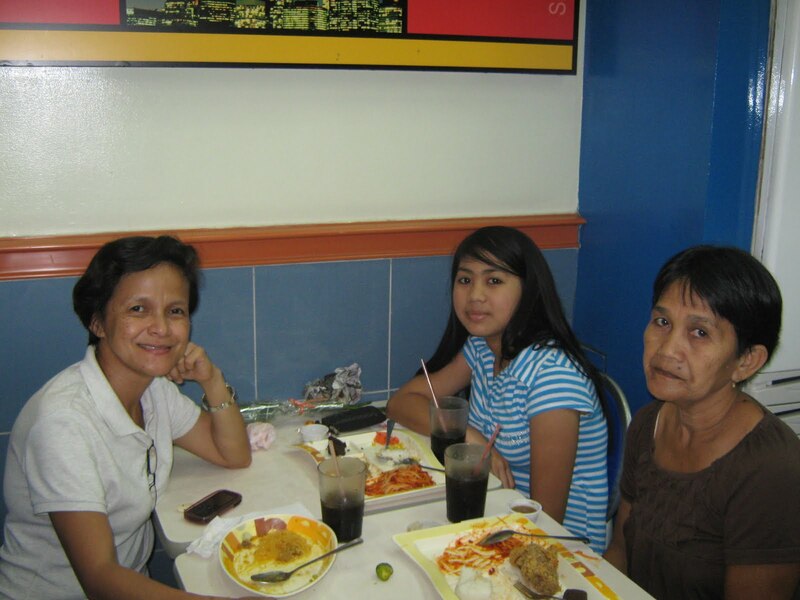 I also told my youngest sister Mae to tell Mama to come over in Legazpi City to attend a conference for her. What Mama did not know is that we sent her some moolah and I also asked Ate Chay to buy some roses for her and take her out to eat. Thank you very much Ate Chay for making all these possible. Thanks also for taking pictures, at least I saw my dear mother even in pictures. I wasn't able to talk to her on the phone though even if I tried many times to cal, the signal was very poor. Hey guys, why are you not smiling lol! My mother is very shy so every time she'll go in school, she is always nervous. Again, thank you so much Ate Chay for doing everything for me, luvya. I hope that I somehow bring smile to my Mother's face even if I wasn't there to give her a hug. I miss and love you so much Ma! Happy mother's day to all the Moms! so sweet of you naman to your mom kahit malayo ka, you were able to surprise your mama.. and i think your mom deserves all the love in the whole.. to you and to your mom...happy mother's day!!! Sayo rose at sa mama mo. You are so thoughtful Rose to give that extra special gift to your mom on Mother's Day. I'm sure she appreciated your gesture of love and appreciation for everything she did for you. Your sisters were also kind to cooperate in bringing a little happiness to your mom. The wonderful traits and character run deep in your family, lol. HAPPY MOTHER'S DAY again my friend. I have a little Mother's Day surprise gift to you and the other moms at my Daya-Log post at my Komentaryo blog. Hope you like it. Thanks for the post. God bless you all always. 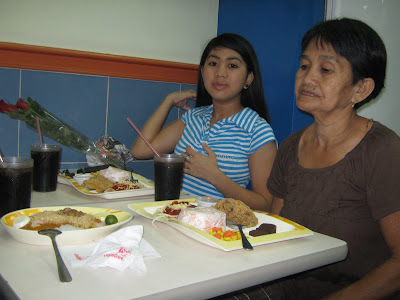 Ang sweet namn nang manang kow.. ganda nang mama mo Te Rose and ang youngest sib mo.. Happy Mother's Day again.. muahhh! You are such a sweet daughetr. mom and friend bading. Na touch ako sa post mo, na feel jko how you miss your Mom. 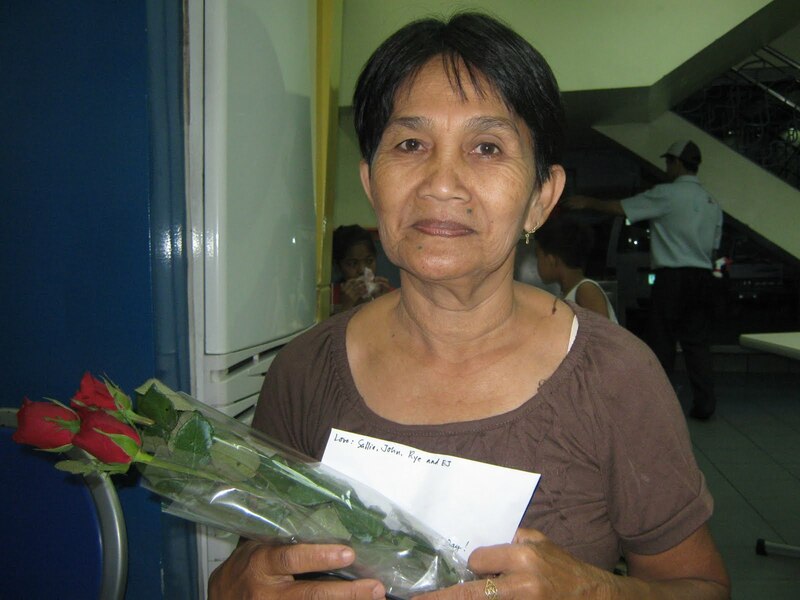 Happy Mothers Day to your Mom bakla. awwwwwwww...nakakatouch naman yung ginawa mo sa mama mo sis...so sweet mo talaga....buti kapa....ako ala akong maibibigay ni ermat....d ko nga rin sya na greet...but I emailed her.....busy kasi election don...hhhehehe! That was a big surprise for your Mom. So sweet of you. wow ang bait na anak..so sweet..ginagawa ko din yan sa mama ko kaya lang ni minsan di ako nakakarinig ng appreciation waaaaa..
glad you got your mum to have the rises and a celebration. How lovely your mother is!! And the whole day in photos is very touching to the soul. Loved it all. she would be very touch by this gestures of yours girl. belated happy mothers day to u! 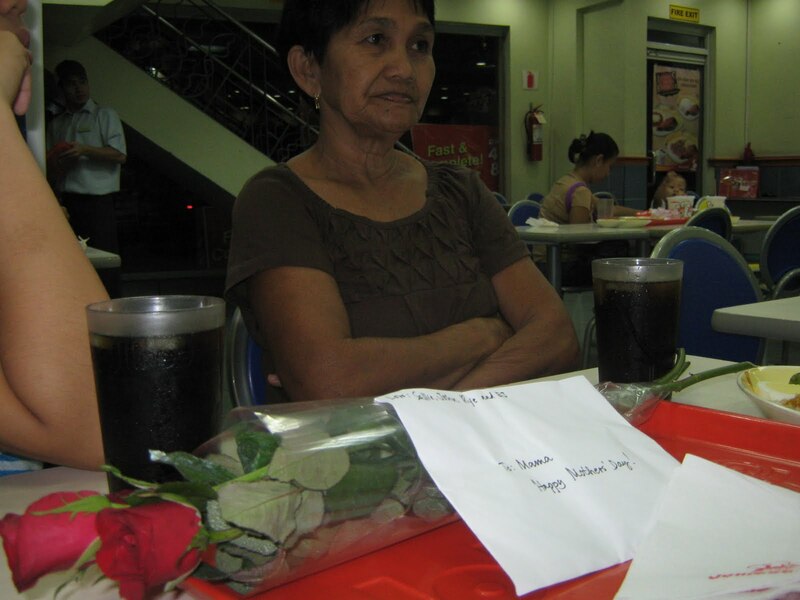 I'm sure na-surprise mo ang Mom mo at nagustuhan nya because you're her daughter.So sweet of you naman! Belated Happy Mother's Day to you and your Mom!! The wonderful traits and character run deep in your family, lol. HAPPY MOTHER'S DAY again my friend. 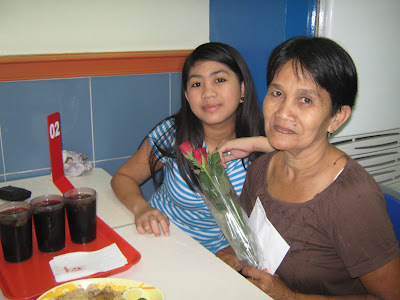 I have a little Mother's Day surprise gift to you and the other moms at my Daya-Log post at my Komentaryo blog. Hope you like it. Thanks for the post. God bless you all always.